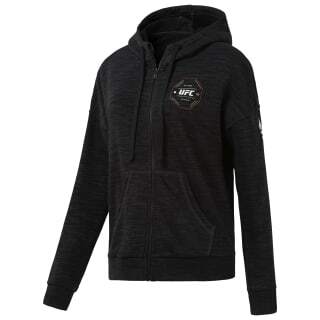 Grab this women's UFC graphic hoodie for gym commutes and chilly workout warm ups. 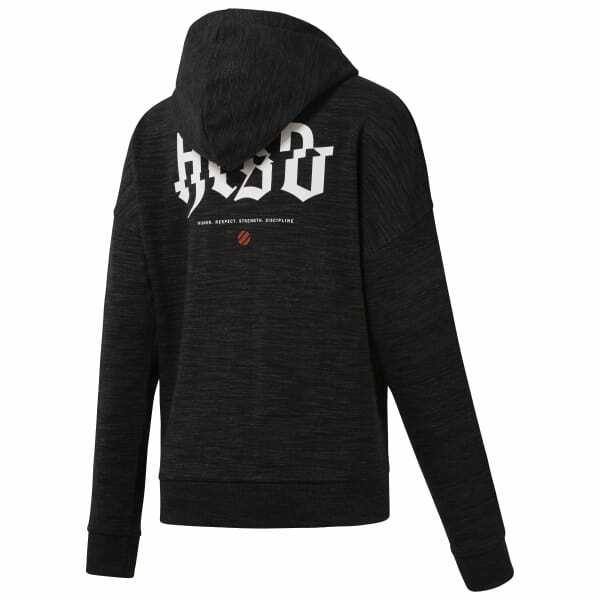 A hood and draw cord add adjustable coverage while the full zip construction helps with easy ons and offs. A mélange effect updates the look.